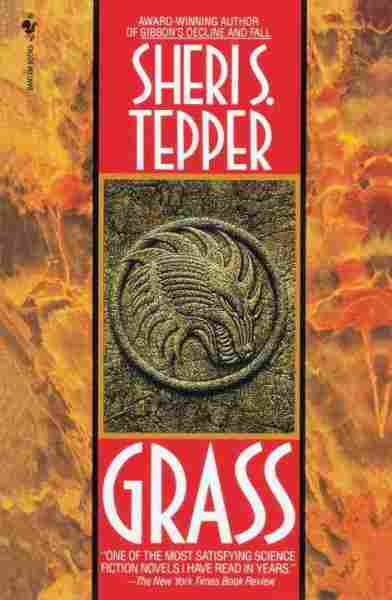 Remembering Sheri S. Tepper, Eco-Feminist Sci-Fi Firebrand Tepper wrote several classics of '80s sci-fi, but she's curiously unknown today. Her work is didactic and often uncomfortable, mixing eco-feminist politics with gripping characters and world-building. "You must be having a difficult time. Very small beings do have difficult times. That's what I create them for." For Sheri S. Tepper, there are too many people. It's why her books have so many plagues. I tell my editor about it on the trip home from a World Fantasy Convention in the Midwest. I'd agreed to write a retrospective of Tepper's work to mark her passing; it was a good place to chat with the industry lifers who had known her. As it turned out, she's so remarkably out of print that even gathering material had the air of a quest. And few people had met her. No idea, they said. She lived in the desert a while, but that was all they knew. "I've read her, though," said someone, with a look I didn't understand yet. "I read Grass," said someone else, shaking their head — about never having met her or about Grass, I couldn't tell. "Disturbing," I heard, over and over. 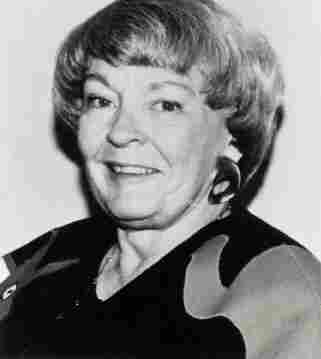 She began publishing later in life (her first novel at age 54), and wrote more than forty under several pseudonyms. But she used her own name for the works that made her a fixture in science fiction and fantasy. Her most influential works straddle lines between her forebears and her peers; she sits among Margaret Atwood and Marge Piercy's second-wave-feminist parables, and somewhere alongside the all-out otherworlds of Frank Herbert and Jack Vance. Perhaps her most infamous book is 1988's The Gate to Women's Country, in which enclaves of women run society, relegating men to hyper-masculine garrisons, sending them off to war to thin the numbers, and trying eugenics to solve the problem of men. 1991's Beauty is a retelling of the Sleeping Beauty myth — a stew of fairy tales Tepper chews up and spits out, with a little time travel in case you wondered what's in store for the natural world. (Nothing good.) And 1989's Grass — the first in a trilogy, and perhaps her most famous work — circled questions of faith, ecology, class, and the ways nature gets classified as monstrous when people are the invaders. Along the highway, the trees are halfheartedly turning over, smears of red and yellow amid the brown. Before us, a billboard of a glamorous woman standing in a coal mine. "My Energy. My Job. My Vote. Keep the lights on." We have the car windows open; it's 80 degrees in the last days of October. Her work often has the feeling of a tract pressed into one's hands by a true believer. There's nothing subtle about it. There's not much subtle about Sheri S. Tepper, either. Her work is as consumed with ecological panic as second-wave feminism. Even the spare facts of her life — her work with CARE and Planned Parenthood — are listed in her obituaries as if it's understood her early career pointed directly toward her body of work. 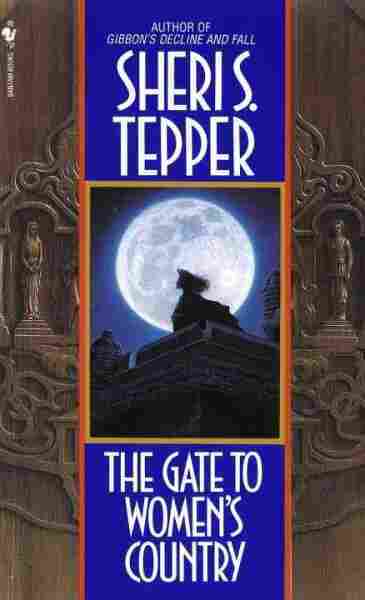 Often, a Tepper novel has too many people. Has a plague. Alien races whose interference rests on superior technology but whose dramatic purpose is mostly doctrinal. Language and communication as world-changing work. Clever women thwarted by society and circumstance. An oppressive religion with governmental influence. Half a dozen points of view. Technology that betrays privacy, marketed as a safeguard. Pets who are more than they seem. Issues of race tend to be entirely alien or entirely absent. Romantic love is a bug bite that itches while characters try to do something more important. If a gender-essentialist divide can be drawn, it will. If plant life can fight back, it will. Her work often has the feeling of a tract pressed into one's hands by a true believer. Science fiction historian and critic Dr. Gary Wolfe, who wrote a remembrance of Tepper for her Lifetime Achievement Award at this year's World Fantasy Convention, knows that's by design. "She is, in a sense that isn't as fashionable as it once was, a consciously social novelist," he writes, "and she wanted her deeply felt ideas to be expressed as directly as possible to the reader. The storytelling, it seemed, just came naturally to her and was the most effective way she knew of getting important ideas presented." All this makes it difficult to come to easy conclusions about Tepper. At times, that eco-panic is the only comfort: Her hopelessness is more affecting than her solutions. But her characters can be gripping, especially the women who find themselves in their element somewhere they're expected them to wither. Her worlds can be startlingly imaginative; explain any given plot point in a Tepper book and watch friends refuse to believe you. And occasionally Tepper seems wryly aware of the pattern of her own catastrophes. In The Companions, a talking-plant being asks the human heroine about an attack on their outpost, wanting to know "who is responsible for Ships coming down on top of Mountain if this is separate from the other bad thing." The heroine sighs: "It's a separate bad thing." Driving home through the wobbly autumn, I'm not sure how I feel about Tepper. "Disturbing" was right, in more ways than one. But the strongest thread through her books is the value of knowledge. Knowledge is always worth seeking; knowing more is always useful. I can think of no fitter way to approach Tepper's work.